Today I’m sharing how we’ve decorated our home for Christmas this year. Hopefully it can give you some inspiration and ideas if you’re also living in a small space! Our decorations aren’t particularly fancy, but I love how adding a few small touches and playing around with styling can really make your place feel so cozy and festive! When it comes to decorating a small space it’s all about being a little creative, re-purposing what you already have and being intentional when adding new pieces to your home. Do you ever feel like life is just constantly shouting at you? Blaring the speakers at maximum volume so it makes it hard to think? 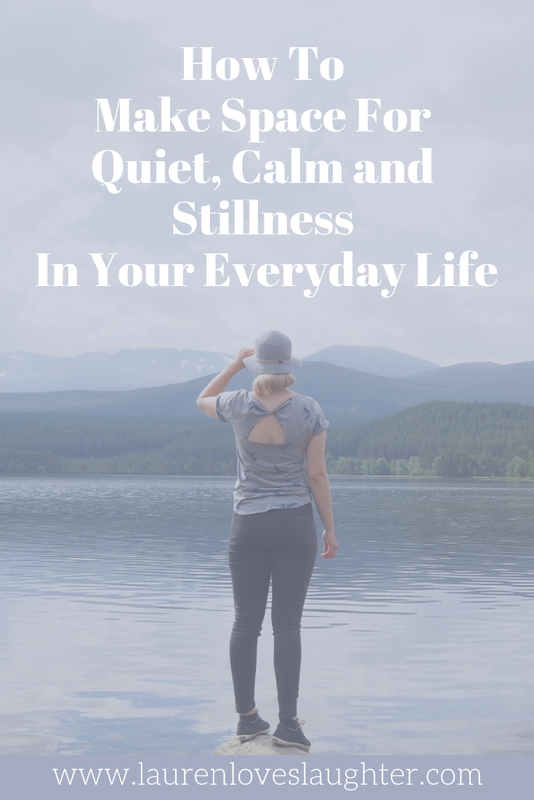 Today I thought I’d share some easy ways to incorporate just a few more “mindful moments” into your everyday routine. These are opportunities to make tiny tweaks and incorporate a little more quiet and calm into your life, without taking up any extra time! I've always been someone who loves the "fresh start" a New Year brings, and although I believe we can make changes and set intentions anytime, there's definitely something very motivating about the first of January. Whether you're someone who likes to set resolutions or not, I think it's always beneficial to look back on the year, celebrate the achievements and learn from the lows (that we all have no matter how fabulous life may look on social media). I haven't been posting as much as I'd like to lately, but to be honest, I've been feeling pretty down in the dumps over the past month or so and I just haven't felt up to it. Nothing terribly bad has been happening, but I've just been really stressed at work, dealing with a number of quite negative people that have left me feeling totally drained. I'm usually a pretty happy, optimistic person, but being blamed for things that aren't your fault, or questioned about your intentions and skills (when all you are doing is trying your best to help people), really does get you down after a while. After having a mini breakdown the other day, I decided I just have to move on and not let those negative Nancy's get to me anymore. It's much easier said than done (particularly for someone like myself who takes everything to heart), but I'm slowly getting there. This blog is my "happy place" - I want to spread positive vibes and for my little corner of the internet to be a fun, uplifting place to visit, so now that I'm in a better mindset I figured I'd dip my toe back into the "blogging pond" by sharing something that's been helping me to feel a little better, even on a pretty crappy day. I think the saying "There's something good in every day" is really true, and so even when I haven't been feeling the positive vibes, I've been trying to look for the little things that make me smile. It might be the tiniest thing that only lasts a few moments, but if you look for it, there's always something good in the day to be grateful for.
. I like to think of this as a sign that it's going to be a good day!
. I see it as I head out the door on my way to work and it always brings a smile to my face.
. I'm so excited for Spring - it's always feels like such a fresh start and that everything picks up once September rolls around. hugs, and on this particular night, I really needed a good hug. It didn't exactly fix the situation that was stressing me out, but it definitely helped me feel a whole lot better about it all. (or even better when Tom brings it to me on the weekend when I'm still in bed). There's something pretty amazing about the power of simple cup of tea. (okay so I guess this is actually a pretty big thing!) - it's really coming together now and feels so cozy and homey. I feel so lucky that we have this space to call our own. - one of the best feelings ever! - I originally only started watching it so I could chat to people at work about it and feel a bit more in the loop, but I've actually really got into it and now I'm hooked. It's nice to be able to just escape reality for a little while and enjoy some light hearted entertainment! 10. The fact that I can now do proper dead lifts at the gym!
. He's one of my friends from uni so going to the gym just feels like a fun catch up with my friend. If you're in Perth and after an awesome PT you should get in contact with Matt! - even if it's only for ten minutes during my lunch break - it can really help to brighten up the day. - my favourite part of the week. They're just simple things, but when you look for them you realise how many good things there are. They don't exactly fix all the other things going on, but when you're feeling grateful it's much easier to deal with the harder stuff (at least it seems that way to me). What little things have been making you smile lately? Just a quick post today to share my winter capsule wardrobe video here on the blog. I'm still loving doing this whole "capsule wardrobe thing" and I don't plan on stopping any time soon! I've had such a change in mindset over the past year that I've been doing a capsule wardrobe, and just trying in general to minimise my possessions and live a little more simply. In the world of fashion blogs there is definitely a push towards always having something shiny and new and following the latest trends. While there's nothing wrong with that, it's just never really been "me" so I feel so much happier thinking of myself as more of a "capsule wardrobe blogger" rather "fashion blogger". The idea of quality over quantity and having a smaller collection of really well curated pieces appeals to me so much more than having a wardrobe overflowing with clothes, and I've been enjoying applying this minimalist approach to the rest of my life too. Hope you're having a fab day :) I'm soo happy it's finally the weekend!